This simple circuit board helps you while you design your own board. It shows how small a 30 mil font really is, and why you might want to avoid 0402 resistors. It demonstrates common situations like a silkscreen over traces and vias and different copper / silkscreen combinations. You can read a bit more about the different parts of the board here. The board is similar to my first version, the most significant changes are the order of the drills on the top edge, and the drill diameters for the four corners. This updated version has 4 different diameters, ranging from 2.7mm to 3.6mm. Please note that different PCB fabrication services have different minimum widths for the silkscreen. If the silkscreen is to thin, it might not be legible. 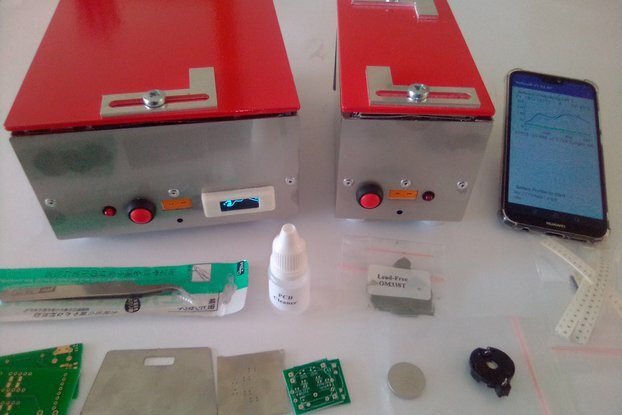 Besides the common green soldermask, the board is also available in other commonly used soldermask colors. This is the default options. The silkscreen texts are described by their line height and the ratio of line width / line height. In this version the silkscreen texts are described by their line height and the line thickness. Depending on your layout program, this might be more useful than the ratio version. The boards with a black soldermask have a white silkscreen. At 0.6mm they are the thinnest option available. The black soldermask is very opaque and the copper is hardly noticable under the mask. The white board has a black silkscreen and is only 0.8mm thick. Like the black version, the white soldermask is quite opaque and the difference between copper filled and empty areas on the board is barely noticeable. The red board with white silkscreen is 1.0mm thick. The copper filled areas are easy to recognize but not quite as distinct as in the yellow version. The blue board with the standard white silkscreen is 1.2mm thick. The blue soldermask is quite opaque but not as much as the white one. If you pay attention you can make out the difference between copper filled and empty areas. The yellow board has a white silkscreen and is 1.6mm thick. This is currently the thickest version of the board. The yellow color makes the board stand out a bit more, if your desk is littered with other circuit boards. This version also has the strongest contrast between copper filled and empty areas. A really handy reference to put text and component dimensions into perspective. I got the white one. A really handy reference to put text and component dimensions into perspective. This card is a work of art. It also looks like it will be useful too, I really like the ability to use the sample holes to identify what sized hole to use for a component. Wonderful! Thanks for the great boards! The boards are just what I was expecting. Thanks! Excellente idée et très utile cette ce circuit de référence. 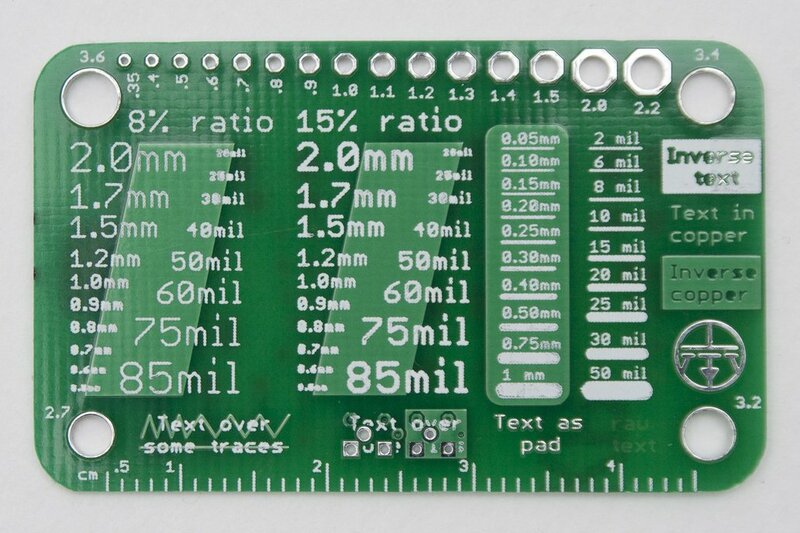 Nice item, very useful when designing a PCB. Well conceived - and a wonderful gift! Every engineer should have one of these in their desk drawer. It's well thought-out and can go a long way toward completely eliminating unpleasant surprises when PCB deliveries arrive. These also make wonderful gifts - I sent some out with Christmas cards to other engineers. 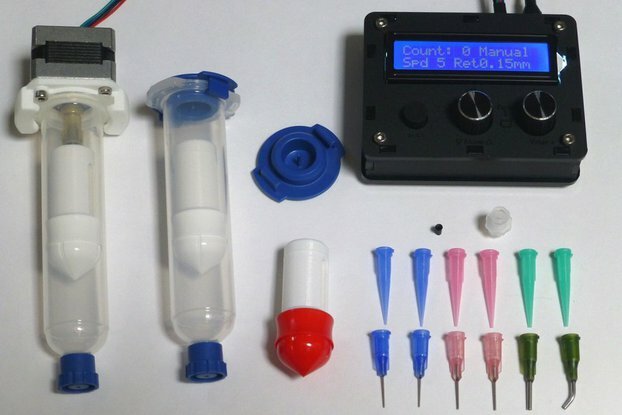 An excellent little accessory for use in designing PCBs. It doesn't take up much room and is a practical reference for silkscreen print sizes along with holes and common SMD component pads. I was very pleased with this. The quality was excellent and every snippet of information was useful. It has been very handy when laying out boards to show the actual size of the pads, tracks and silkscreen text etc. I loved it! It's extremely useful to check the size of components and choose the best package. Small and useful tool for those who are use Eagle Altium Kicad etc cad design tools.....also I suggest an other similar pcb include thru hole components! Silkscreen text, Track width, Holes, Pad sizes, Package sizes, Popular SMT sizes, and a few more. A lot of work went into this handy reference card. Choosing what to show and laying it out. You can carry it in your wallet, and it's much thinner than other appliances you may carry there. Very useful for measuring the size of hole you need for a specific component and getting an idea of the real size of the thing you are designing. A list of trace widths (like silkscreen line widths on the current version) would be nice for a next version. Nice to have exact sized reference card when doing layout planning. Glad I bought two, just in case someone 'borrows' one. I'm glad you like it. You are right, it's a bit petite. I've added a new picture to help show the size of the card.